What’s That Moldy Smell Coming From My Home’s Air Vents? Everybody wants their home to smell pleasant, not just for guests but for their own enjoyment. And there are few things less pleasant than a moldy odor spreading around your house because it’s coming out of the vents along with the heated or cooled air. If this happens in your home, you’re not alone: this situation is a common one called “dirty sock syndrome.” You can probably tell why it got that name when you smell those odors. We’ll take a look at what causes this and what can be done about it. 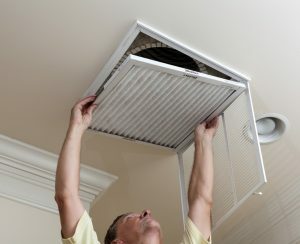 Posted in Air Conditioning | Comments Off on What’s That Moldy Smell Coming From My Home’s Air Vents? 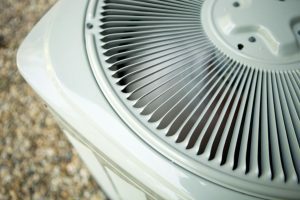 Summer seems to start earlier and earlier every year in our neck of the woods, and even in early May, chances are you’ve needed to run your air conditioner a few times this year already. If your system needs any repairs, now is the perfect time to spot them. In fact, the earlier you can notice problems with your air conditioner, the better. The next time you run your system, watch and listen for signs of trouble, and call in a quality repair service the moment you do. When an air conditioner won’t work properly, people often assume what they know to be common air conditioning problems. They may ask us, “Does it just need more refrigerant?” Or, “Is the thermostat broken?” We should let you know, before we move on, that while refrigerant leaks are common, simply refilling the refrigerant is rarely a solution. You must seal the leaks, too. Otherwise, the thermostat is rarely the problem when the air conditioner completely struggles to run as intended, and we must look to components inside the system. We may have to do a bit of detective work to determine what went wrong, and often we find it’s the same culprit: the air filter. 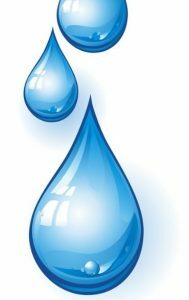 Leaks around the home are often a big deal. If you notice a roof leak in the middle of a rainstorm, you might go running to the neighbor’s house to borrow a tarp and frantically search through the phone book for an available roofer. When a leak springs from a pipe, you put down buckets and call a plumber as soon as you can. These leaks can do a lot of damage, no question, but it’s easy to catch them early on. The leaks that end up doing the most damage tend to be those you cannot see. The one that concerns our business is a leak from the condensate drain of an air conditioner. This is a huge concern in a humid area like ours, so it’s important to keep track of any potential signs of a leak and call in technicians ASAP.